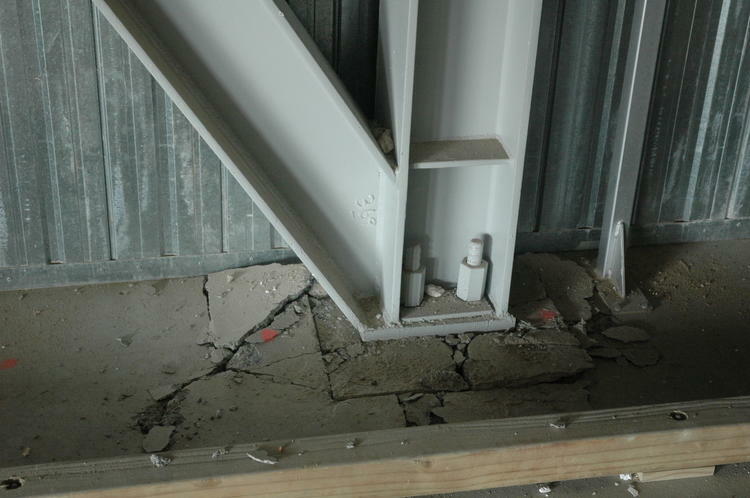 Foundation uplift inside a brand-new 5-storey building on very soft soil adjacent to the Turanganui River. 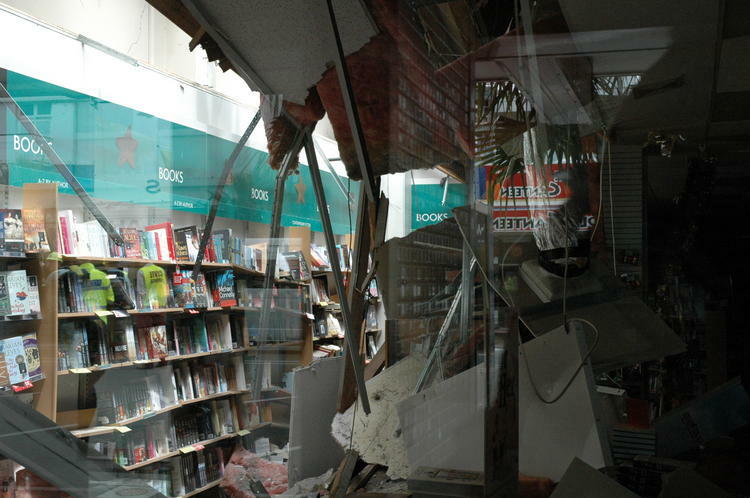 The resulting tilting of the structural frame above the foundation, possibly exacerbated by a design flaw, caused serious damage to the building. ShakeNZ displaying shaking intensity across New Zealand in the first few minutes after the main shock. The earthquake occurred within the Pacific plate, which is being thrust westwards beneath the Gisborne region at about 45 mm/year in a process known as subduction. As this plate subducts, it is subject to bending stress and stresses arising from the plate heating up. It is these stresses which caused the earthquake. The fault which ruptured most likely extends into the deeper part of the Pacific plate, where seismic waves travel very efficiently. This explains why the earthquake was felt as far south as Dunedin. A feature of such deeper earthquakes in the subducted plate is that they often produce more high-frequency shaking than shallower events of the same magnitude. This is reflected in the strong shaking experienced in Gisborne. The depth of the earthquake at approximately 40 km placed it within the subducting Pacific plate, the depth to the plate interface being around 10 km near the earthquake location. An earthquake of this size, at this depth, was unlikely to disrupt the sea floor and cause a tsunami. 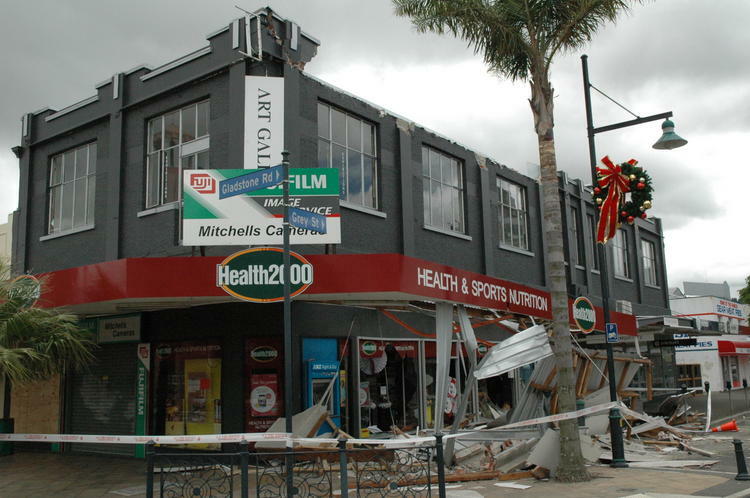 Three buildings collapsed in the central business district of Gisborne, and severe structural damage occurred to others. Casualties would have resulted if the quake had occurred a few hours earlier when many people were on the streets. 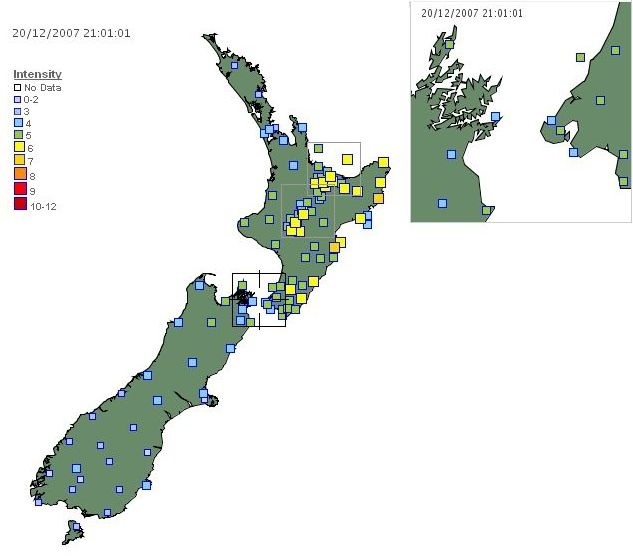 GeoNet felt reports indicated the mainshock was felt from Auckland to Dunedin and on the Chatham Islands. Aside from the severe damage in Gisborne, small items (eg. glassware, ornaments, books) toppled and fell off shelves in many locations including Gisborne, Hawke's Bay, Bay of Plenty, Palmerston North, and Wellington. Contents were ejected from cupboards in Gisborne, Hawke's Bay, Bay of Plenty, and Wellington. Small appliances and furniture (eg. TVs) slid a lot or fell over in Gisborne, Hawke's Bay, Bay of Plenty, Paraparaumu, and Wellington, and large appliances and furniture fell over in Gisborne. Electricity was affected in Gisborne and Napier, and other infrastructure such as gas, telephone, internet, water and sewage were also affected in Gisborne. Broken crockery and glassware were reported in Gisborne and Wairoa. 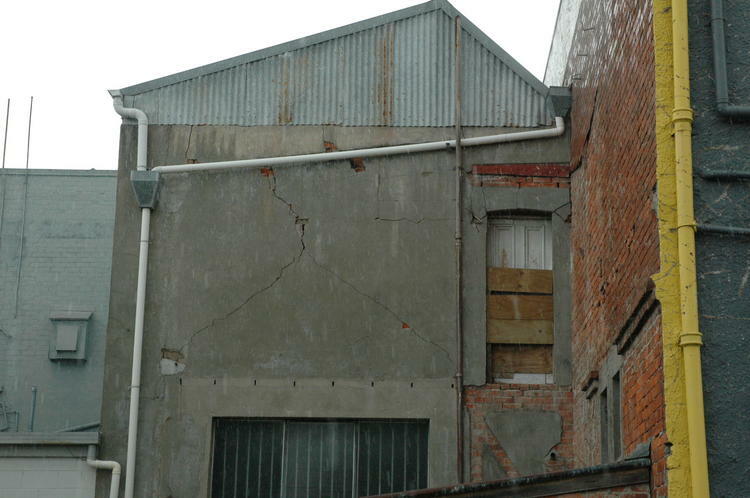 Building damage such as damage to chimneys, broken windows and cracks in exterior walls was reported from Gisborne and Wairoa, and severely distorted buildings and totally collapsed walls were reported in Gisborne. Saturday, 5 March 1966, magnitude 6.0, centred just offshore Poverty Bay. Sunday, 21 March 1976, magnitude 5.4, in Hawke Bay just south of Wairoa. Monday 23 April 1979, magnitude 5.1, offshore in central Hawke Bay. Thursday, 8 March 1984, magnitude 6.4, deep under the Raukumara Peninsula. Thursday, 30 November 1989, magnitude 5.0, 30 km directly under Gisborne. Tuesday, 10 August 1993, magnitude 6.3, centred near Ormond.